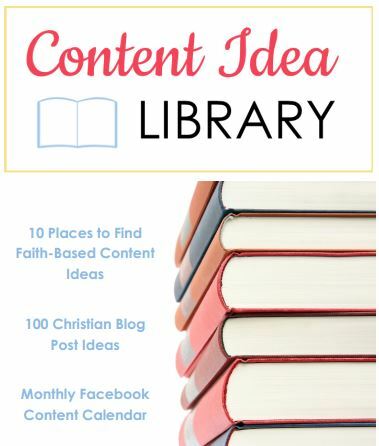 Grab my FREE resource library for generating ideas for your faith-based blog, products and social media. See how what you are learning, what your audience tells you and what others are talking about can help you develop content that captures the heart of your audience. An idea for every day of the month. Stop guessing about what works on Faceobook. Rotate through this calendar each month to grow your audience and your reach. Your Content Ideal Library is on the way to your inbox. If you don't see it soon, check your spam, junk and promotion folders!